For anyone looking to buy a motorhome in Edinburgh and Aberdeen or Scotland, it is well worth getting in touch with the experts at Rennie Motorhomes first! 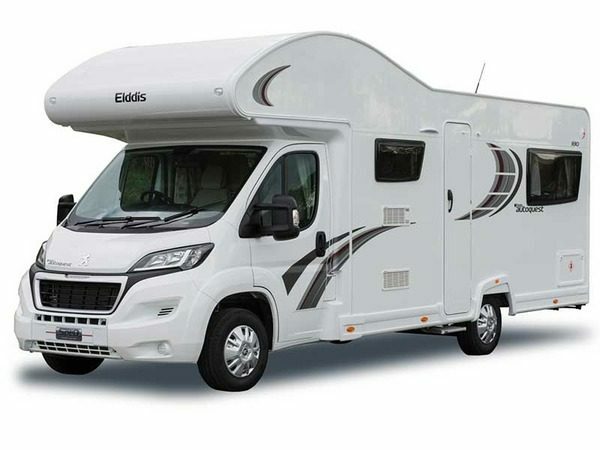 As well as offering the opportunity to hire a motorhome, we often have ex-rental Motorhomes in stock for sale at the end of the season, as well as some for sale on behalf of our customers. All the vehicles we have in stock are fully functional and have either been used by us previously as a rental motorhome, and are simply older than 4 years old, or are available for purchase from some of our own customers. They are in immaculate condition with spacious interiors to allow you to relax in comfort when on holidays. With food preparation facilities and spacious sleeping arrangements, our vehicles are of the highest quality and are a must-see if you are looking to buy a motor home in Edinburgh and Aberdeen. We have a fantastic reputation for providing the cleanest, most comfortable motorhomes in Scotland, and we are proud to provide such a high quality services to our customers. We believe that every customer that contacts us deserves the very best when it comes to both customer service and buying a motorhome from us. This is why we only provide the cleanest vehicles that are in perfect working condition, as well as providing the customer with only the best customer service, both at no extra cost. Here at Rennie Motorhomes, there are never any hidden costs. The prices that you are given are all that you are expected to pay, with no added extras hidden behind attractive deals. We pride ourselves on our honesty and really do believe that we cannot be beaten when it comes to our customer experience. If you would like more information, please contact us by calling 07720 260596 or fill in the form below, hit the submit button and we will respond to you as soon as we can. The above Motorhomes are all well below new price and have lots of extras added. Be sure to get in quick to reserve them as they go very fast each year. More vehicles will be released at the end of October after the season. I can confirm I have read and accepted the Terms & Conditions and privacy & cookies policy.